Cinema Review – Here Comes The Boom! 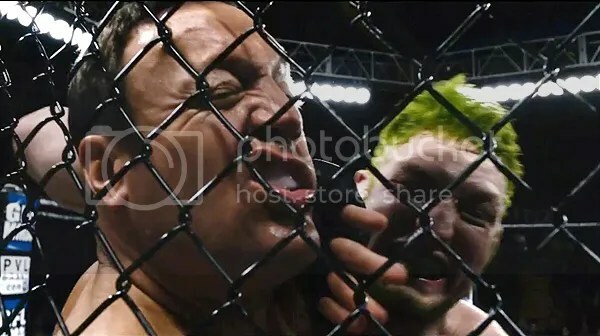 In order to save the music programme, high school teacher Scott Voss (Kevin James) decides to become a mixed martial arts fighter, with his eye on competing in the UFC. Yeah I know, this is a strange premise for a movie, but if it was ever going to be done, Kevin James was going to be the one to do it. The good news is that it sort of works. Sort of. Kevin James’s last movie, The Zookeeper, was just horrible. Thankfully, it seems that he has learned from his mistakes, and chosen a movie role that shows him at his best. As Scott Voss, James is likeable and sweet. He starts off the film playing the character in a similar manner to Jack Black’s Dewey Finn from School of Rock, but just as Finn changed and grew to bring a band of underage kids to glory, Voss also shrugs off his apathy to help his colleagues and students. James is likeable in the film, and manages to pull off the slightly surreal character arc, although it does feel as though he is channelling both Jack Black and Robin Williams (‘Oh Captain, My Captain’) at different times. Henry Winkler is also rather sweet as music teacher Marty, and his awkwardness combined with James’s awkwardness makes for some charming and gently bromantic scenes. James brings in his friend, and retired MMA fighter Bas Rutten as Niko, Voss’s coach. Rutten manages fine, but he does not set the screen alight. Salma Hayek turns up as the love interest; she and James have good chemistry, and their scenes are charming, if predictable and familiar. Add to this mix singer Charice as high school student Malia, and Joe Rogen as himself and you have a strange but more or less passablecombination. Here Comes The Boom! was co-written by Kevin James – hence the cronyism of bringing in UFC and his friends – as well as Rock Rueben and Allan Loeb. Even though the trio may have some seriously dodgy movies in their past, Here Comes The Boom! is not one of them. James shows off the reason why he became a leading man in the first place. He may not be tall dark and handsome, but there is a certain charm to him, and it is this that ties the story together. Scott Voss is a man who has lost his passion for life, and it is through his interactions with the enthusiastic but lost Marty, the school kids and Salma Hayek as Bella that he shows the side of him that cares and wins over his critics. Voss is a well written character, and his supporting cast are one dimensional, but James’s interactions with them make them seem stronger. Where the problems arise is the writing that makes this ‘comedy’ only have a few genuinely funny moments, and racially stereotype vast swathes of hopeful US citizens. As well as this, director Frank Coraci’s direction is patchy, and the charm of the movie soon wears off through the uneven and messy pacing. In all, Here Comes the Boom! has moments of charm; Kevin James is sweet and his interactions with the rest of the cast may be over simplified but they resonate. The trouble is that the pacing is all over the place – which means that the charm soon wears off – and while the UFC element may be new, this is a story that we have seen on screen before. That said, it is Kevin James’s best movie in years. What interests me most about the film (and there wasn’t a whole lot else, I’m afraid) is the quiet and unspoken relationship between God, country, and beating the crap out of people. It’s stupid, but it’s entertaining and that’s all I can say. Good review.